A woman and child place flowers at the National September 11 Memorial and Museum in Manhattan during Sept. 11 ceremonies to mark the 17th anniversary of the terrorist attacks at the World Trade Center. Nearly 3,000 people died in the attacks in New York City and Shanksville, Pa., and at the Pentagon. Mourners pause and hold photos at the National September 11 Memorial and Museum during Sept. 11 ceremonies to mark the 17th anniversary of the terrorist attacks in New York. 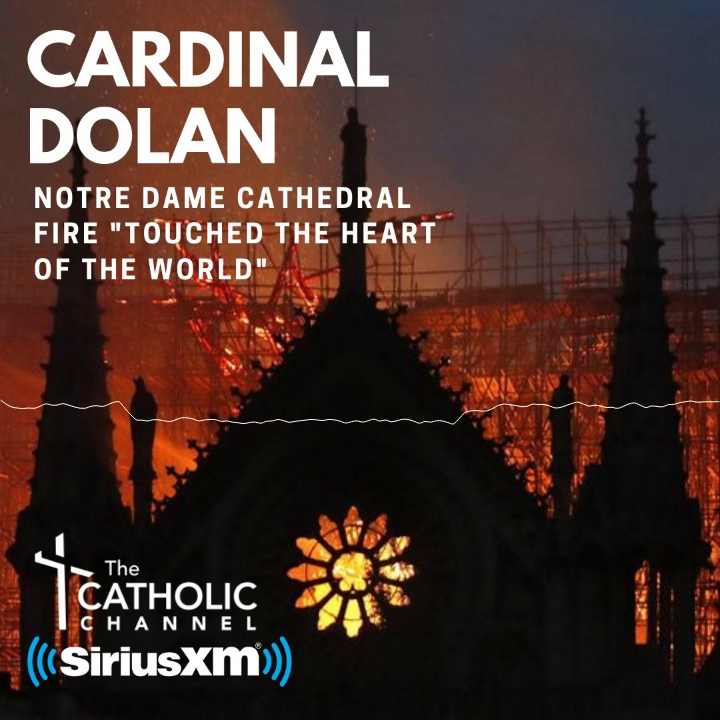 Attending a meeting of the U.S. bishops’ Administrative Committee Sept. 11 in Washington, D.C., Cardinal Dolan said he and his brother bishops remembered all those who perished and their families at a Mass at the U.S. bishops’ conference headquarters. Another plane crashed into the Pentagon in Virginia, just outside Washington, D.C. and a fourth airliner went down in a field near Shanksville, Pa.
Three days earlier, on Sept. 8, the cardinal celebrated Mass at historic St. Peter’s Church in lower Manhattan. The “venerable church,” he noted in a statement, had “served as a sanctuary, first-aid station, hospice, relief center and even a mortuary” on 9/11 and for many days afterward.